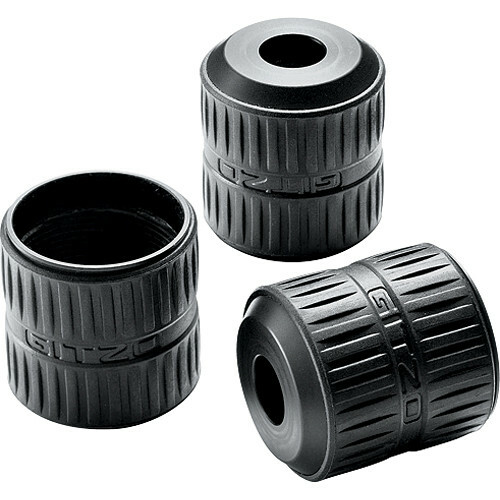 The Gitzo Series 2 Leg Section Reducers Kit allows you to shorten any Gitzo Series 2 G-Lock tripod and monopod. The leg shortening is accomplished in four easy steps: you unscrew the selected G-Lock locking nut, remove the whole leg, screw the leg section reducer in and finally, install the selected foot into the leg section reducer. The removed leg sections can be safely stored in the anti-dust bag included in the kit. Box Dimensions (LxWxH) 9.0 x 3.0 x 3.0"
Will this allow me to remove the skinniest/smallest leg of the GT2542LS and convert it to a three section tripod?